This excellent translation by Dr. Nemenyi may help to restore interest in geometry, a subject that seems lately to have lost favor in America. has been a classic for twenty years . . . Although it deals with elementary topics, it reaches the fringe of our knowledge in many directions. an extraordinarily high concentration of interesting ideas and information. 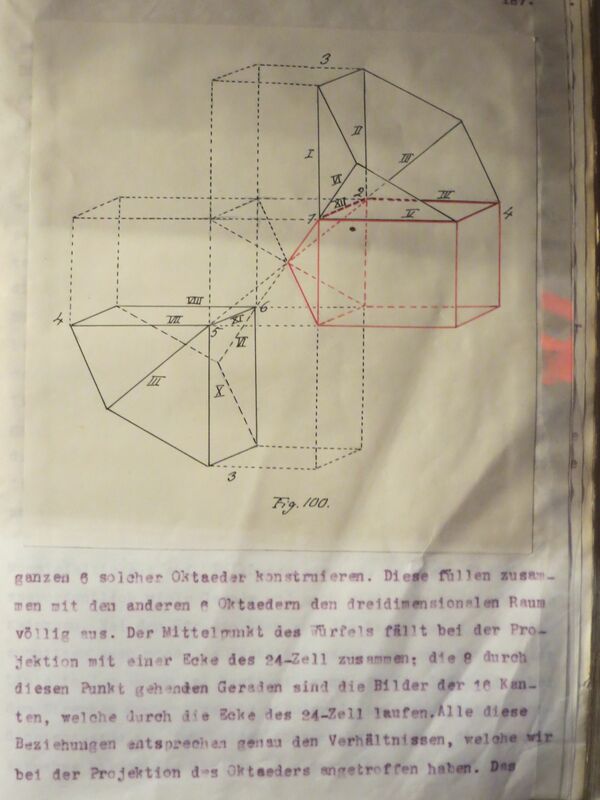 Photo of a display at the University of Gottingen of lecture drafts by W. Rosemann from Hilbert’s course in 1920/21 on the subject of Anschauliche Geometrie. The book of Hilbert and Cohn-Vossen was adapted from these drafts. My intention in writing this blog is to try to follow in the steps of H-CV-D-C-G-T in a new medium, and to explore geometry through examples, through ideas, and through images (mental or otherwise). Geometry is a method and a philosophy, but it is in addition a psychological attitude, and this blog aims to celebrate geometry in all its aspects, both as a science and as one of the humanities. I have stumbled onto some Mobius extensions you may find interesting. most of the time so whatever you turn up researching these strange Mobius extensions is yours. I have a friend that works for NASA JPL who is a Cal Grad suggested I look you up due to the relationships my discoveries have to your work. Great Blog, I want your permission to list it on my website. (www.sciene.org) And I love to see me on your blog as mutual partnership. A couple of years ago, I wrote a “paradox”, that you might find interesting.